Some of the world’s finest climbers will top the bill at this year’s Braemar Mountain Festival. Inspirational all-round climber Dave MacLeod will headline the third annual event alongside the second Scottish woman in history to climb Everest, Di Gilbert. More than 40 talks, instructor-led sessions, workshops and evening events will take place as part of the four-day mountain festival. It takes place between Thursday February 28 and Sunday March 3 in a variety of locations in and around the village. 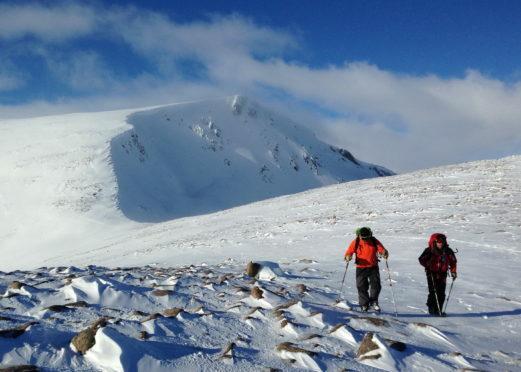 Organiser Alastair Hubbard, a local businessman who also volunteers with the Braemar Mountain Rescue, said: “The festival is a true showcase of Scotland’s mountain life, renowned across the world for its remoteness, beauty and, of course, unpredictability. “We wanted to show how all ages and abilities can experience life on the hills. Festival-goers can also try their hand at snowshoeing, work on improving their navigation skills and take part in a variety of guided walks covering history, nature and winter skills. The life and works of one of Scotland’s greatest naturalists, Seton Gordon, will be the subject of a talk by writer James MacDonald Lockhart. Mr Hubbard added: “Our speaker programme is packed full of world-leading mountain-lovers. “They include renowned fell-runner Nicky Spinks, mountain biking obsessives the Trippin Crew and our very own mountain forecaster, Geoff Monk, who will all give insights into their inspirational adventures. “All of this is set in the beautiful village of Braemar, which continues to go from strength-to-strength as one of Scotland’s leading outdoor destinations. For more information, visit www.braemarmountainfestival.com.